I produce world-wide aerial photography and video from aircraft, mast or UAS. (or go to our contact page ). It’s all very well taking pictures of buildings from the front or the side but to really show them off in their best light a series of aerial images can portray them in just the right way. Property developers can make their new projects stand out from the rest by commissioning a series of images to be taken of their new projects. The tourism industry regularly uses aerial images to promote a number of locations to their clients. Popular tourist spots in countries all over the world can look highly tempting if they are captured imaginatively on film. Venues like London in England are steeped in history and they have magnificent buildings that tourists want to see. As part of a promotional campaign brochures containing all of the local attractions can be published and they can be crammed full of aerial images of fine buildings such as St Paul`s Cathedral, Buckingham Palace and Shakespeare`s Globe theatre. 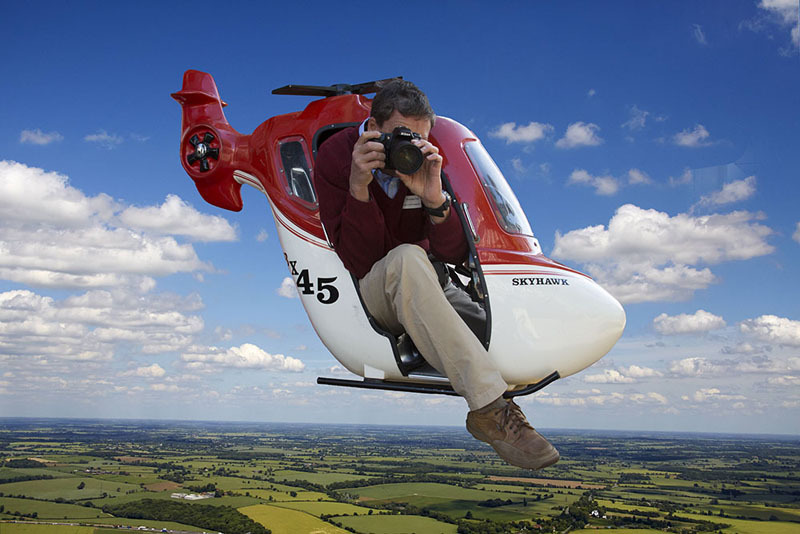 The aerial photographer that takes the images can work from a helicopter or fixed wing aircraft. All the images captured benefit from image stabilization equipment which helps with the sharpness of the pictures. Pictures taken from the ground are fine in their own way but snaps taken from the air show buildings and landscapes off in a totally different way. It’s amazing how much detail can be captured when you look at images taken by an aerial photographer. I was looking at an overhead snap of Old Trafford the other day, which is Manchester United`s home stadium. This vast sporting venue was captured in all its glory by a talented photographer. Football grounds are just some of the structures that can be caught on camera as the aerial photographer can take any type of feature that the customer likes. It could be a special event that is being hosted such as on outdoor concert and series of sharp images need to be taken from above. Cities like London are awash with historic buildings that look amazing when they are captured on film. Sites such as the Tower of London or the Houses of Parliament will always prove to be popular, as will modern features such as the O2 Dome or the London Eye. A customer might have a specific brief for the aerial photographer and the work might be for the tourism industry, construction industry, or many other sectors. Look at images that have been captured from above and they can show a variety of subjects from a rather unusual perspective. Sometimes you need to be above buildings to really appreciate their true size. Looking down on a building it`s easier to see how much square footage that it takes up. The best way to view buildings from above in areas like London is to utilise london aerial photography. Helicopters or fixed wing aircraft can be used to capture a wealth of wonderful images. You might want buildings photographed as part of a marketing campaign if you are trying to sell them in the future. Armed with a series of sharp images you can show prospective buyers just what the buildings look like from all angles. In the capital of the UK there are a number of amazing buildings that will look stunning when they are captured by london aerial photography. The Tower of London, Buckingham Palace, London Eye or Houses of Parliament all look wonderful when they are captured on film from the sky above. It`s not just buildings that can be photographed to good effect as numerous landscapes can be shot from the air. Think of images of Hyde Park on an autumnal day or scenes of the River Thames with a host of boats upon it. 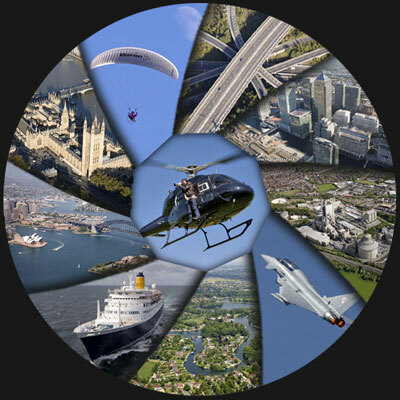 From pictures of various types of transport to industrial locations, london aerial photography can captivate scenes from everyday life in a highly unique way.